Perfume has lost part of its memory with the passing of Guy Robert, the author of Madame Rochas, Calèche, Doblis, Dioressence, Amouage Gold… His friend Jean Kerléo, founder of the Osmothèque, used to pick his brains when he needed more details for his conferences. Michael Edwards was fond of saying that whenever he had issues in classifying a fragrance, he’d go down to see his old friend Guy Robert. He shared his knowledge generously: in fact, when I emailed him to ask him where I could obtain Les Sens du Parfum, his out-of-print book, he lent me one of his own, few remaining copies, on the condition that I ship it back to him, which I did. When I found an extremely rare bottle of his Chouda, the scent that was meant to be the first Grès fragrance, I asked him for details and he readily responded. This evening, we’re going out. I love the dress you’re wearing, held on your patch of bare shoulder by that pretty golden thing. You’ve applied this perfume, the one I don’t know whether it’s “finished”. Later, in the theatre, I’ll be able to “watch” it while listening to the play. Then, later, when we’re having supper in the discrete, elegant little restaurant we love, I’ll know if it can withstand a change in atmosphere and setting. 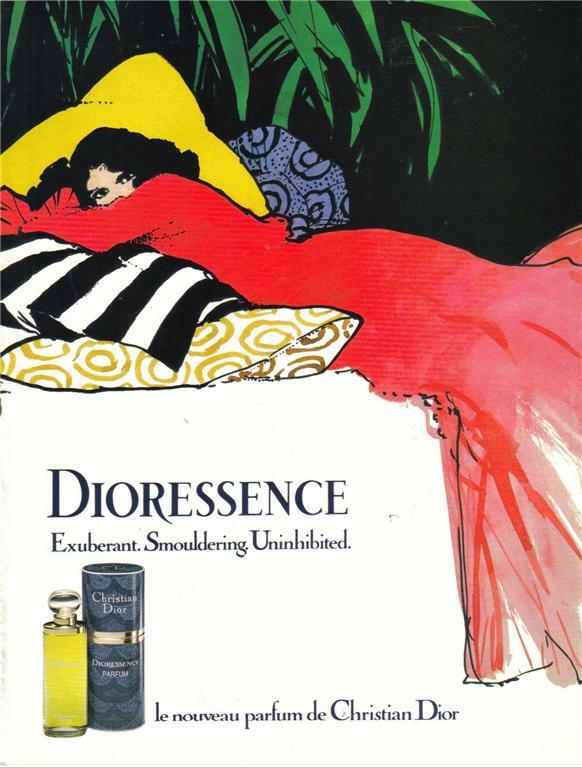 You’ll want me to tell you everything about perfumery, which we are both passionate about. Even though your skin knows how to speak about it so much better. It isn’t simple to speak about a sensuous thing, a thing which is after all the expression of a dream, which is also part of ourselves, of our hedonistic world, and which underlines our personality. 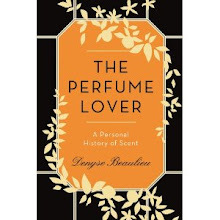 Perfumery is first and foremost a wonderful means of communication, an extraordinary evocation of our memories, a powerful tool, and it’s also an art. For an overview of Guy Robert’s career and achievements, please click here to read Bois de Jasmin’s post. Oh. That is very fine, the translated passage. Thank you, D.
I did put the link up to this on FB, but will try again. I want more people to read it! Alyssa, such an anthology has already been published in France by Elisabeth de Feydeau, and another one of long quotes by the Institut Français de la Mode. Nozknoz, thank you. Maybe Elisabeth de Feydeau will find a US publisher. I know she was discussing with some. What I love is 'that pretty golden thing'. This from a man who could probably have found all the words in the world to describe every shade, mood, colour or feeling in any scent, settles for just 'that pretty golden thing' when describing a dress. There is something just so charming about this, as if when it comes to describing this woman, words fail him, and yet it does not matter. This is so sensual: "Even though your skin knows how to speak about it so much better." Mr. Robert was a wonderful man. Je vous ai laissé un commentaire, cet après-midi, sur un billet du 1er mai 2011 ; sans doute ne l'avez-vous pas vu passer. Bien le bonsoir. Et bravo pour votre captivant blog. NLR, je viens de rentrer d'un déplacement professionnel à l'étranger, je n'ai pas encore eu le temps d'éplucher tout mon courrier! 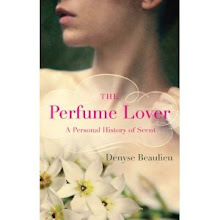 A poet as well as a lover and perfumer. R.I.P. Guy Robert. You will be missed. Rappleyea, nothing to add to that, is there?